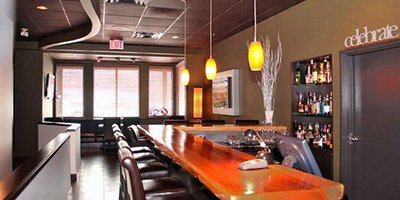 Timberwolf Restaurant and Lounge established 2006 is an upscale family friendly restaurant in Squamish. Timberwolf Restaurant and Lounge is open 6 days per week for breakfast, lunch and dinner. In addition to the warm and intimate dining room we have a 20 seat lounge with a large yellow cedar bar, 2 televisions and a cozy wall fireplace to sit and sip a cocktail after you explored beautiful Squamish. We offer dine-in, take-out or delivery and a children’s menu. We also offer breakfast until 3:00pm daily and the most delicious pizza in the corridor starting at 4:30pm daily. Our prices are very affordable our service is professional and our food is excellent.